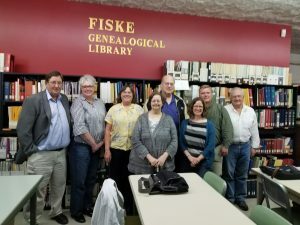 PS-APG members can help in many areas of genealogy and family history. Scroll down for current members. You can review their biography on the National APG Directory by clicking on Profile. Please be advised that while PS-APG encourages quality in its members’ work, it does not guarantee the work performed by any of our members. All our members abide by the APG Code of Ethics. Suite #106; 924 Capitol Way S.